WordPress might be the best CMS around but it’s not perfect. 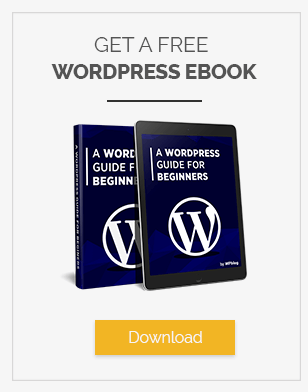 If you are using WordPress and have a laid back approach regarding security, then you are walking on thin ice. A website on WordPress is, surprisingly, easily compromised. There are many loopholes that hackers are well aware of and, believe me, they do not waste a good opportunity to screw your website to the core. Let me put some facts before you to give you a clearer idea about WordPress security and how easy it is to compromise. A few months ago a bug was identified where a hacker could alter a website’s content. The Rest API endpoint was discovered by Sucuri and it wasn’t removed until WordPress rolled out 4.7.2. More than 67000 WordPress websites were compromised in just two weeks. Hackers have penetrated into WordPress websites in some very unorthodox ways as well. Not long ago, a group of hackers launched a coordinated attack on WordPress admin panels through wifi routers. WordPress security breaches are nothing new and they have been occurring since WordPress came into being. Thankfully, WordPress is an open-source platform. Which is why we have tons of effective WordPress security plugins that will keep your site secure. Let’s take a look at some of the best WordPress security plugins out there! As the name suggests, this plugin is for all those who are looking for a comprehensive security service. Developed after analyzing over 240,000 WordPress sites, MalCare offers layered protection to websites. The Firewall that bans bad IPs as well as malicious login attempts made by bots. A Powerful scanner that detects the most complex and hard-to-find malware because it goes beyond just signature matching. The Scanner that does not use your server resources and does all heavy lifting work on its own server. Updating plugins, themes, and WordPress core of several sites from a single dashboard. Hardening your site so that any unauthorized personnel gaining access to your site is unable to cause damage. 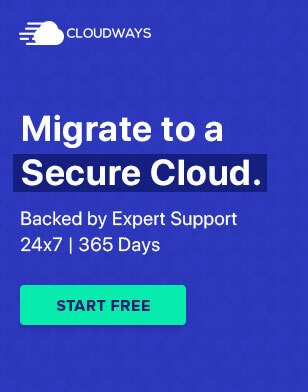 Real-time regular backups that you can have access to for up to 365 days. Besides all these security measures, MalCare also has white-labeling and client reporting options that’ll be handy if you manage a lot of websites for other people. It is certainly one of the best WordPress security plugin. Wordfence is one of the most popular, or arguably, the most popular security plugin for WordPress. With over 2 million active installs, this plugin continues to gain trust of millions of WordPress users world wide. The live traffic view allows you to see traffic updates in real time and any hack attempts made on your website. Wordfence is also multisite compatible and also include Cell Phone sign in. This prevents your website from brute force attacks. It also checks plugins and themes against the WordPress repository for verification. Wordfence also scans signatures of over 44000 known malware variants. So if you want to up your security game, Wordfence is the best security plugin for WordPress. I am sure you have heard of Sucuri. Sucuri is a globally recognized authority that specializes in website security. They are better known for dealing with WordPress security issues. Sucuri Security is a security plugin that is free for all WordPress users. It doesn’t have the same number of downloads as Wordfence but it is as effective. The plugin offers a variety of security features that include Security Activity Audit Logging. The feature keeps a log of all the activities on your website to keep it safe. This means that a hacked won’t be able to wipe out your forensic data. That’s pretty neat! The File Integrity Monitoring is a very interesting feature. Once Sucuri is installed, it automatically creates a “Known Good” for your website. If at any point in time, your website differs from the Known Good, you have a problem. And you will be notified. The malware scanning is as effective as it can get. It is powered by a powerful scanning engine, SiteCheck. The Post Hack Security Actions guides you through the process of retrieving the data after an unfortunate attack. Sucuri is one of the best free WordPress security plugins out there and is considered as one of the essential plugins to have on your WordPress website. This WordPress security plugin is every bit as its name. The All-In-One WP Security & Firewall is a 360 degree security solution for your WordPress website. It is a “comprehensive, easy-to-use, stable and well-supported WordPress security plugin”. The plugin takes your WordPress security to a whole new level. The plugin focuses heavily on brute force attacks and have a range of other functionalities. It helps you fight off the most common website attacks. The plugin uses an unprecedented security point grading system. It measures how well your website is protected based on the current security features. The plugin effectively protects your website without slowing it down. The firewall protection is categorized into three levels: Basic, Intermediate and Advance. This allows you to apply firewall rules the way you like it. The plugin adds firewall protection via htaccess file.The htaccess file is processed by the website before any code. It also comes with wp-config.php backup, anti-spam measures, and front-end copy protection. It is hands down, one of the best security plugin for WordPress. As the name suggests, the plugin defends and protects your website like a bulletproof jacket. Bulletproof security is a single-click solution for all your WordPress security needs. It protects your website against RFI, XSS, CRLF, SQL injection, and code injection hackings. 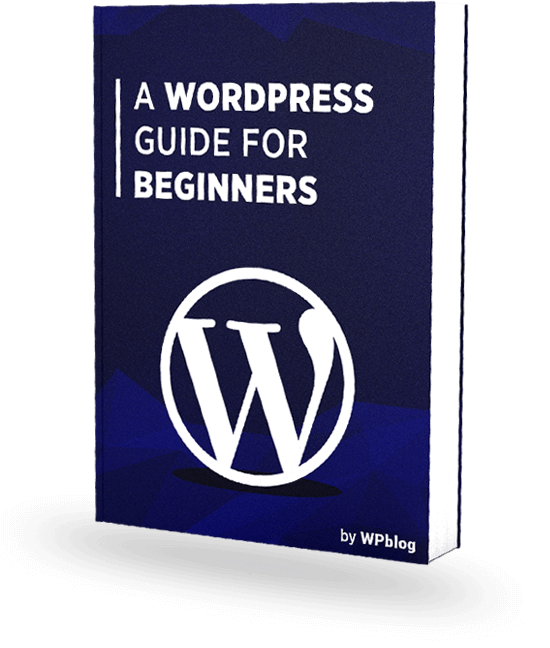 It is also extremely easy to use and is perfect for beginner WordPress users. It also has a pro version with added features as well. With the pro feature, you can secure your ‘wp-admin’ folder and Root website folder with a single click. The pro version also lets the developers create a “503 under maintenance” page while the website is under construction. All the amazing features Bulletproof Security means that it goes in my list of best free WordPress security plugins. iThemes has been developing WordPress tools since 2008. Backupbuddy is a popular WordPress backup plugin by iThemes. So if you install iThemes Security, you know you are in safe hands because the plugin is maintained and supported by iThemes itself. Generate strong passwords right from your profile screen. With such avast aray of features, iThemes security is one of the best security plugin for WordPress. The plugin is known for detecting and removing malicious viruses and suspicious codes. WP Antivirus Site Protection has the ability to detect backdoors, rootkits, trojan horses, worms, fraud tools, adware, spyware, hidden links, redirection and etc. The plugin can detect not only theme files but every file on your WordPress website. It crawls the website intelligently to detect any loopholes that may result in a malicious attack. The database is updated on a daily basis and new logics and functions are added so that your website is safe from all sort of attacks. Antivirus site protection also provides you with alerts and notifications in the admin panel and by email. The feature list includes almost everything you would want in one of the best security plugin for WordPress. Google Authenticator is specifically for you if you were a Clef user. On the plugin page you can see a guide on how to migrate from Clef to Google Authenticator. It claims to give a Clef-like experience and I wouldn’t doubt it because the plugin is pretty decent. You can login using username + password + two-factor or username + two-factor. Two-Factor can be enabled for role wise. It can be deployed for your entire user base in minutes. All types of phones are supported: Smart Phones (iPhone, Android, BlackBerry), Basic Phones, Landlines, etc. If your phone is lost or stolen or discharged, we offer alternate login methods like OTP Over Email and Security Questions (KBA). If your phone is offline, you can use a one-time passcode generated by app to login. Vaultpress is a WordPress security plugin that provides real-time backup and security scanning service. Designed by Automattic, the plugin is one of the best security plugin for WordPress right now. The plugin effectively backs up every post, comment, media file, revision and all the settings on your site to their servers. Powered by Jetpack, Vaultpress ensures that your website is protected against hackers, malware, damages and outages. The importance of backups is normally underestimated. Your website can never be a 100% secure no matter what plugin you install. There will always be a vulnerability waiting to be exposed. Backing up your data ensures that even if your website is compromised, your data is secure and retrievable. Vaultpress is your one-stop solution if you need to backup your website. The plugin creates scheduled backups, that are stored on their servers. The backups are restored in a matter of seconds if there is an attack. In addition to creating backups, the plugin scans your website for malware and viruses. These viruses and malwares can then be removed with a click of a button. Block Bad Queries is a handy WordPress security plugin with a good number of features that increases the protection of your WordPress website. The plugin is super easy to use yet very powerful and fast. It protects your website against malicious URL requests. BBQ monitors the traffic coming to your website and blocks requests containing stuff like eval(, base64_, and excessively long request-strings. BBQ is ideal for protection against injection-related attacks on WordPress websites. The plugin is slowly gaining popularity after being praised by the WordPress community. The plugin does exactly what the name implies. It scans various files on your website, including themes and plugins. VIP Scanner lets you find all the security loopholes in your WordPress website. The plugin is effective and a breeze to use at the same time. It offers a user-friendly interface while allowing you to protect your website from malware and viruses. VIP Scanner also lets you put checks on files on your website so that they can be checked separately. They can also be put together in the form of comprehensive security icons. Protecting your WordPress website should be your first priority and without security plugins, it can prove to be a real challenge. Having a lenient approach towards website security is nothing short of foolishness. The content on your website is a result of your hard work and the people working with you. It’s obviously sad to see it go down the drain in a matter of minutes. A proactive approach in this scenario is the wiser option and the first step is to install a WordPress security plugin. The plugins mentioned in this article are guaranteed to protect your website against all types of malware and attacks. Q1. How do I make my website secure? Q2. Why WordPress Security is Important? A secure WordPress website builds trust among your visitors. If they see that you website is secured, they would be much more comfortable in exploring it and sharing their data. Also, a secure website would save you a lot of money and time as it would prevent hacking.